Standing Up for Yourself Through Social Media - JP loves LIFE! 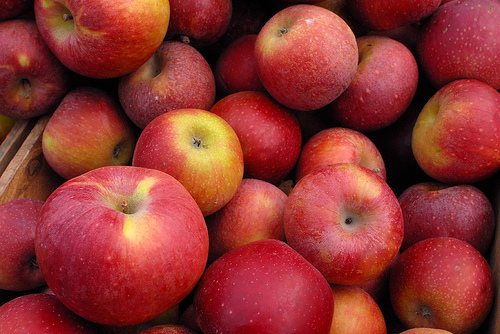 The saying “one apple can spoil the whole bunch” is something I’ve given thought to now and then, not just in relationship to the produce in my kitchen or at the grocery, but like most folks, I’ve thought of it in connection to people. Usually the thought is you don’t want to let one rotten apple spoil the whole bunch for me. I choose to generally look at things from the perspective of the good far outweigh the bad and I see lots of shiny apples, the one bad one, I pull it out & set it aside. I don’t let it ruin the others and in fact I set about really enjoying the others. Before my feet hit the floor, I was getting email from friends about something I had to read. It was a great article by an Associated Press reporter on the West Coast, Julianna Barbassa (“Farmers Defend Way of Life with Facebook, Twitter” in case you missed the great article link above). She had been in touch with my good friend Ray Prock and written a story about his farm, the way he and other farmers agvocate online (tells his story) and the AgChat Foundation. As I sat down to my computer, I got a message from Ray making sure I’d seen it. We realized that HUNDREDS of media outlets were running the story! It made CBS, CNBC, etc and lots of hometown newspapers (for me it was in the Arkansas Democrat Gazette). I checked in with Kelly Rivard, who was also interviewed, and things were moving all around. Tweets were flying, friends were posting it on Facebook and LinkedIn, etc. And I was in the thick of it. My uncle commented “It seems like a lot of people put the weird stuff on line like the newspapers publish for shock value.” I knew he was not talking about Ray. He was referring to the sorts of stories that were referred to in the article. That’s when I thought about it. AgChat Foundation and the farmers behind it and the folks who are volunteering their time are doing. We know the vast majority of farmers out there are doing things the right way. They care for the environment, their crops & livestock and they care about their families and communities. They have great tools at their disposal — tractors, biotech, whatever. And more and more, they have smartphones or netbooks in the cab or the barn. And through AgChat Foundation, farmers will be helping each other better use some of those tools that help get a farm story out. We prefer to see the barrel of apples and focus on all but one. We focus on all the bright red or green shiny apples that fill it to the rim. We realize there is a bad one now and then, but we are going to enjoy the bulk of them! Another fabulous blog! Couldn’t have said it better myself! Don’t you just love that a positive story about farmers has legs this time? Great analogy, JP. I love this post. And not just because I’m mentioned in it. I love it because it represents a mentality that should be present in all industries, but is generally reversed. Great perspective! I’m so glad to have been a part of all of this! Great reflection on the good things happening! I’m loving everything you’re doing for farmers, thanks so much. Thanks for the kind words Ashley. And thank you for all you do to provide us great dairy products! LOL! I may have missed that one! Guess the cull strategy only works with people like me putting them in the small container one at a time too…. not really a production ag thing huh?